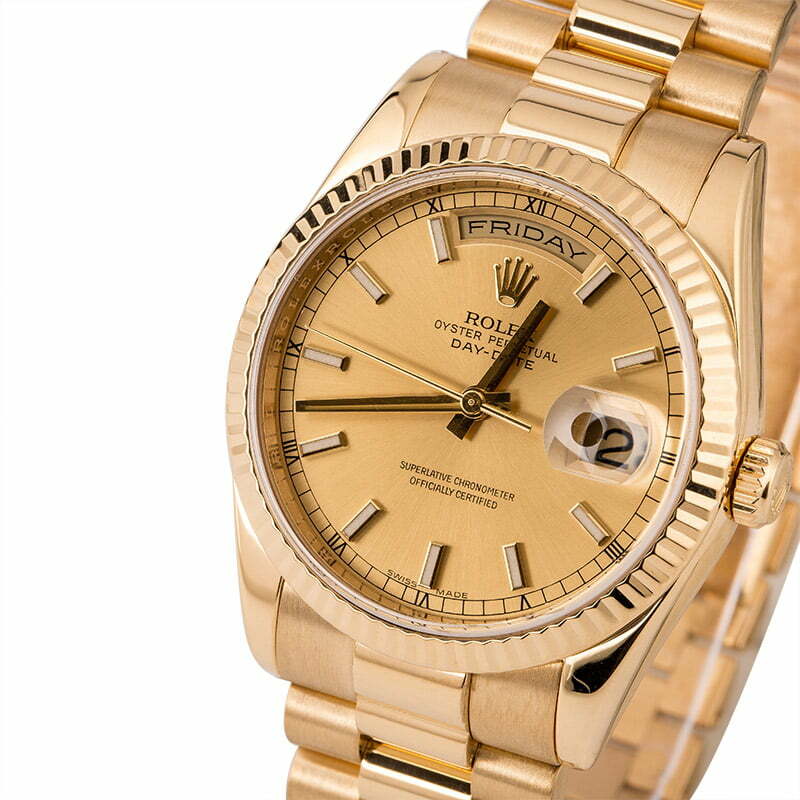 Comments: This pre-owned Rolex comes with Bob's 3-day satisfaction guarantee and one year warranty. 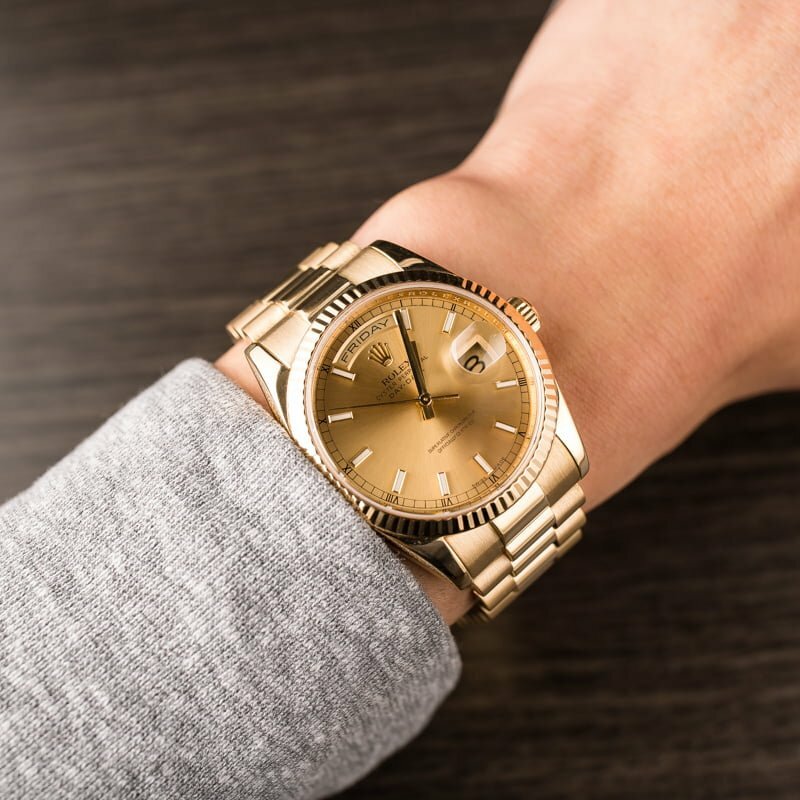 The Rolex Oyster Perpetual Day-Date came to market in the 1950s and is also known by avid collectors as the "President's Watch" after the long list of former US Presidents that were known to wear this luxurious dress watch. 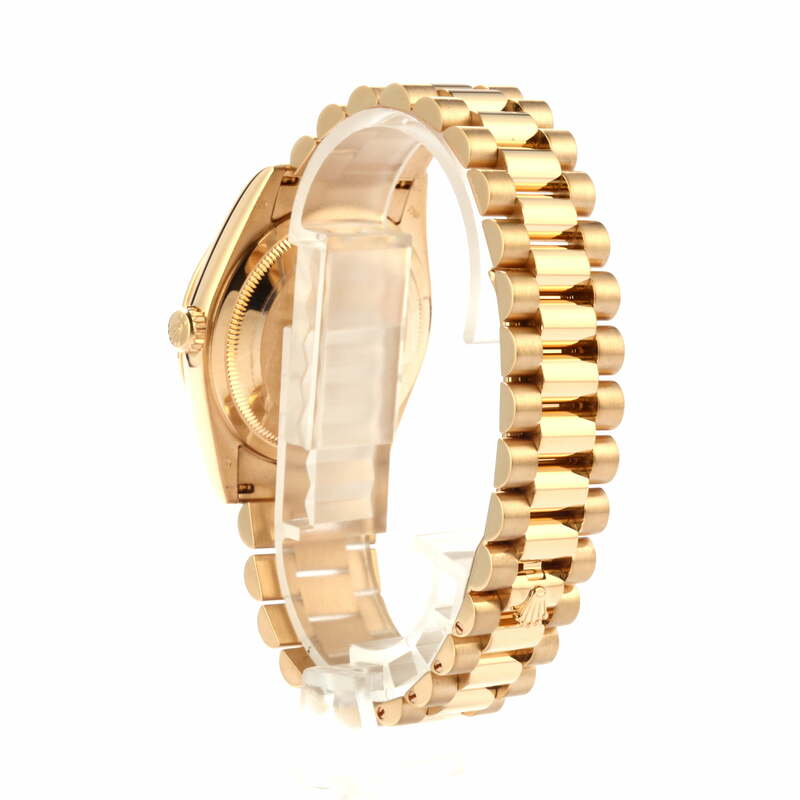 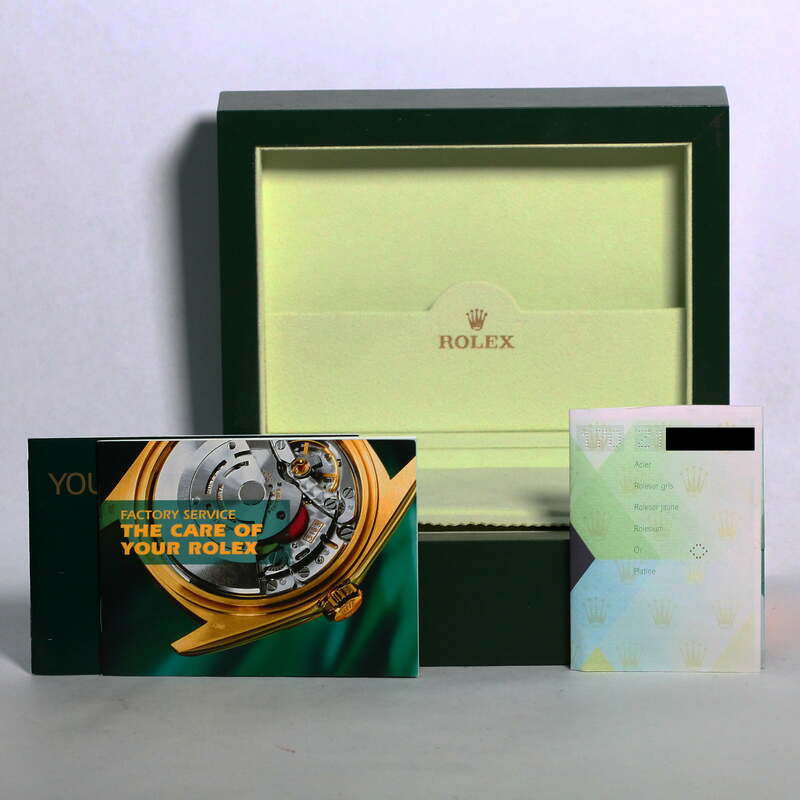 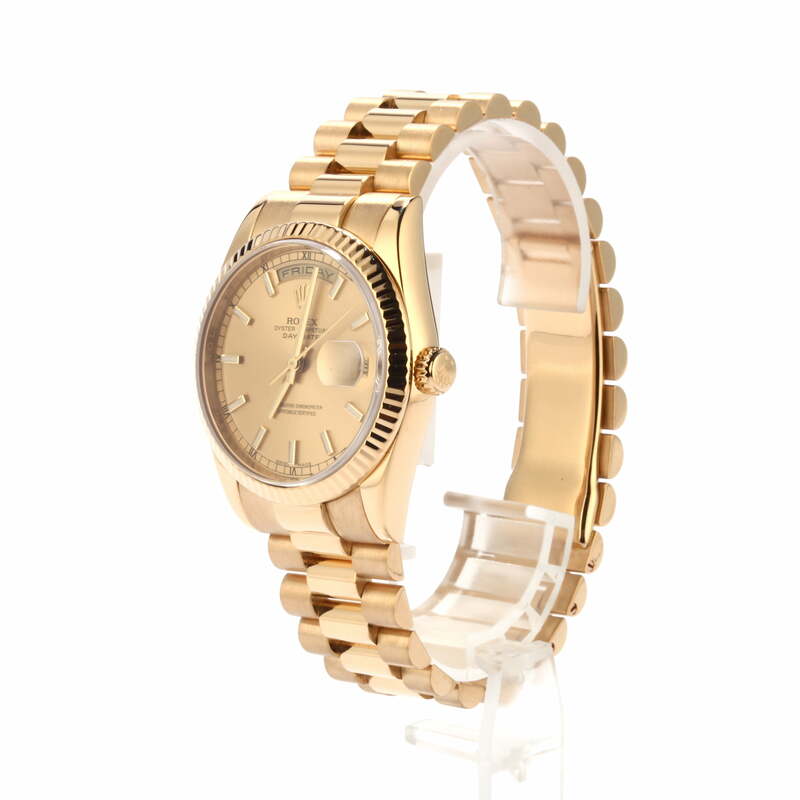 Its feature set often includes a gold or platinum finish as well as a semi-circular link bracelet secured by a hidden Crownclasp, a dial topped with a date and day mechanism, and a 36mm Oyster case. 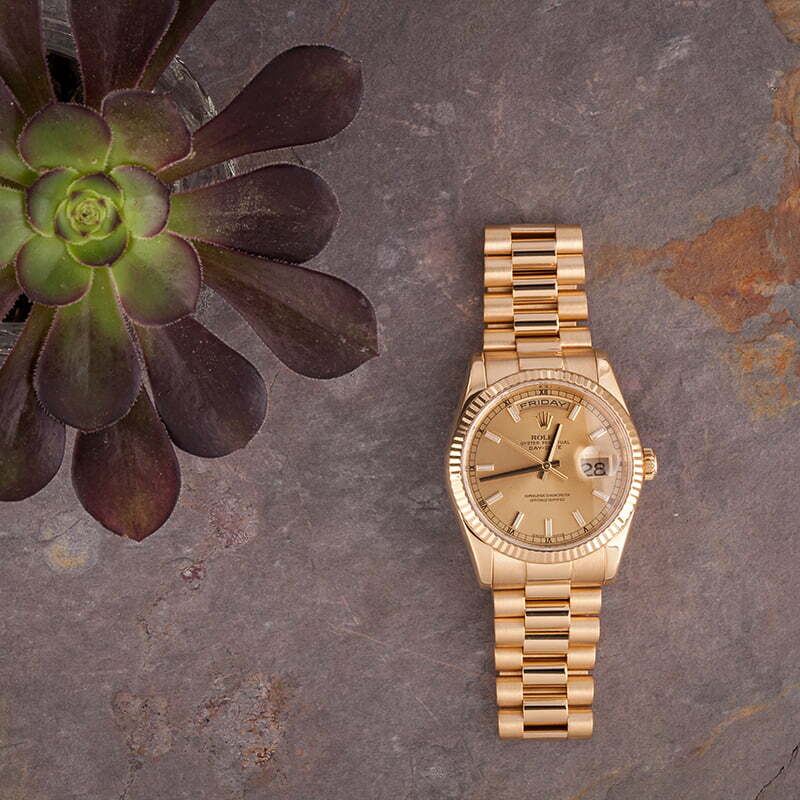 The used Rolex 118238 that is presented here today is a modern timepiece that also boasts a scratch-resistant sapphire crystal, a chronometer-rated calibre 3155 movement with a Double Quickset function, an engraved inner reflector ring, and a fully-lumed display.